At Affordable Home Inspections, our mission is to set the standard for accuracy in inspection services and make buying a house a hassle-free experience. With an arsenal of advanced inspection equipment and an expert staff inspectors, we have the tools to provide a comprehensive inspection that leaves no stone unturned. Afterwards, we will provide you with an objective and detailed report evaluating your home's condition and market value and suggesting repairs or upgrades. In addition we can provide you with an analysis of your home's aesthetics, such as paint, carpeting and landscape. We have no ties to contracting companies whatsoever, and we have taken this step to assure our clients that they will be getting an unbiased report. Click here to learn more about our inspector, Mike Schulz. When you choose Affordable Home Inspections to inspect your home, you can always rest assured that. We will provide an accurate and comprehensive report detailing your home's condition. Whether you're buying, selling or repairing, you need to be sure you're not going to be taken advantage of by a seller, buyer or contractor. When you need a home inspector you can count on, count on Affordable Home Inspections. For more information or to schedule an appointment, give us a call today. Same-day service is available in most cases. 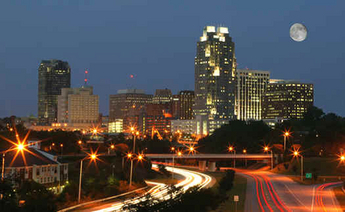 Affordable Home Inspections is a top Raleigh, NC home inspector on Inspectopia.com!